The Monster Energy Yamaha Factory Racing Team overcame difficult conditions to finish in the top 10 at the first round of the Monster Energy AMA Supercross Triple Crown. Rookie Aaron Plessinger continued to make progress in the premier class to finish seventh overall, while teammate Justin Barcia scored 10th in spite of his crash in the third main event that ended his night early. A week of rain made for a softer track this weekend making for challenging rhythm sections at Angel Stadium of Anaheim. Plessinger struggled with set up all day, but made a move in the right direction with a shock change after the last qualifying session. A first lap miscue had the 22yr old off track and working his way back through the pack to finish 12th. The rookie continued to make progress on the Yamaha YZ450F, finishing ninth in the second main, and carried that forward momentum into the third and final race with an even better start. He held his own in a stacked 450SX class to finish sixth, earning him a seventh overall result. It was more of a roller coaster night for Barcia. Like his younger counterpart across the tent, he had a bad start in the first main event that made life more difficult, leaving him to battle his way to seventh. Main event 2 went much better with a third-place finish as the deteriorating track conditions put some of the best Supercross riders to the test. That third-place result put him in a good position for points going into the final race and delivering fifth overall in the Triple Crown. 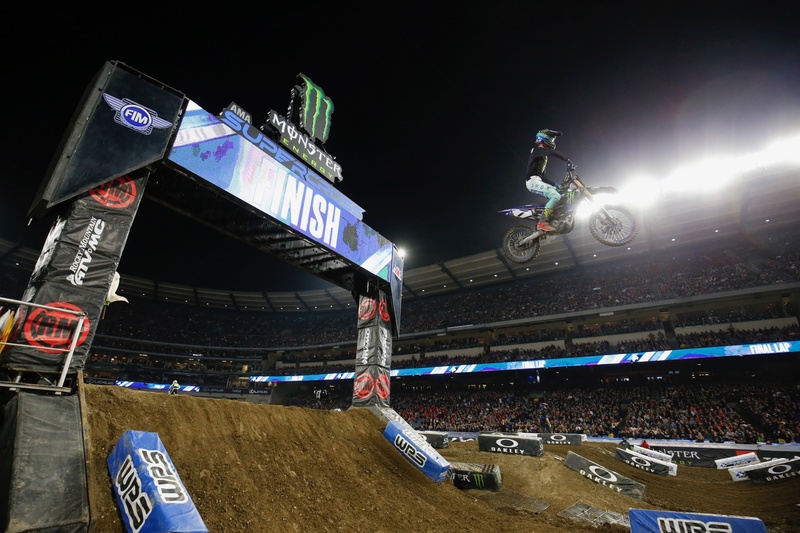 Then an unfortunate crash before the race’s halfway mark, ended the Anaheim 1 winner’s night. Barcia left the stadium to seek medical attention for a possible bruised tailbone; the team awaits further news of his condition. In spite of his misfortune, Barcia sits fourth in the 450SX standings, just seven points behind the leader going into round 4, while Plessinger holds ninth. The Monster Energy Yamaha Factory Racing Team heads to Oakland, California, next Saturday, January 26, for round 4 of the Monster Energy AMA Supercross Championship at Oakland-Alameda County Coliseum.